Welcome back to X-Men: Bland Design, the column where we rip off Ed Piskor’s X-Men: Grand Design, except instead of recapping the good old issues of X-Men, we’ll recap the new ones that come out each week. This week, there are six X-issues on the stands, if you count The Despicable Deadpool as an X-book, which we do. Despicable Deadpool #292, Old Man Logan #33, X-Men Blue #19, Cable #153, and X-Men Gold Annual #1, and Phoenix: Resurrection #3. Total cover price: $25. Total time it would take you to read those decompressed stories? Probably shorter than it took to read this introduction. So technically, you won’t be saving any time by reading these recaps, but at least it can help you decide which of these comics to take out a second mortgage to follow on a regular basis. You’ve previously read our recaps of Deadpool, Old Man Logan, X-Men: Blue, and Cable, and if not, you should go and do that now. Or not. Your time is valuable. That’s the whole point. X-Men: Gold Annual #1 is a rarity in the world of modern comic books: a one-and-done story. Not one, actually, but two single, complete stories. Of course, you have to pay a dollar premium for the privilege of enjoying such a delicious treat. 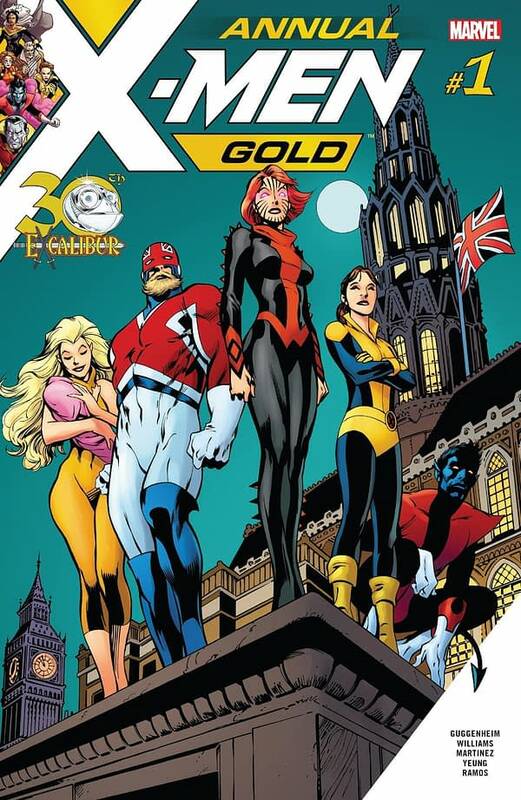 The first story is simple: Kitty Pryde, Rachel Grey, and Nightcrawler are invited to visit the Braddock Lighthouse in the U.K. to meet the 3-month-old child of Meggan and Brian Braddock. In essence, it’s an Excalibur reunion, celebrating the team’s 30th anniversary. 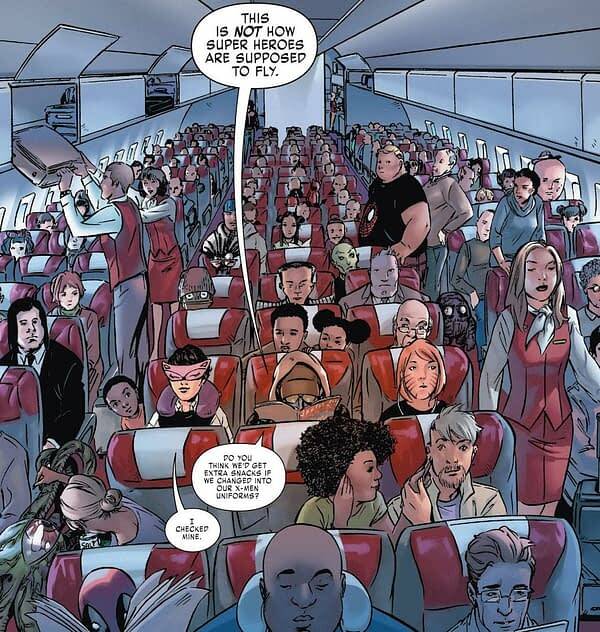 And in this story, the X-Men face their most fearsome challenge yet: flying economy overseas! Thankfully, our heroes are able to overcome that challenge and meet up with their old teammates, where they learn that Meggan and Brian’s baby has a fully developed adult mind in the body of a small child, like a reverse Donald Trump. Bleeding Cool Rumourmonger-in-Chief Rich Johnston compares it to Miracleman. The happy reunion doesn’t last long, however, before Starhammer, the leader of the survivors of the denizens of D’bari, a planet destroyed by Jean Grey during the Dark Phoenix saga in Uncanny X-Men #135, comes looking for revenge. Starhammer had previously battled Jean in X-Men #387, from the return of Claremont era, the one that brought us Dino-Rachel. Rachel used telepathy to make him think he’d succeeded in destroying her so he’d go away, but now he’s back, and his plan is to trap all of Earth’s heroes in alternate dimensions so that humanity can destroy itself. Which is a crazy plan – it would takes weeks just to gather up all the Wolverines. His premise, that humanity would collapse without superheroes, is clearly flawed as well. Anyone who’s read comic books knows that superheroes are the ones causing all the damage! The poor people of the Marvel Universe can’t get through six months without everything being shaken to its core by a super-mega-crossover event. But we digress. Starhammer wants revenge, but baby Maggie instead gets ahold of his sonic screwdriver and locates an alternate dimension where the D’bari are all alive, so that Starhammer can bring his people there, essentially undoing the consequences of the D’bari genocide. And everyone lives happily ever after, and Kurt, Kitty, and Rachel will be Maggie’s godparents. In the second story, a little girl named Rosie is vacationing in New York City with her aunt when they encounter the X-Men battling Fin Fang Foom. She wants to meet them, so the pair follow the X-Men around the city, trying the X-mansion, then the Natural History museum, but always just missing the X-Men, particularly Storm, who Rosie really wants to meet. What they do encounter at every stop, however, is anti-mutant racism from the crowd. At the end, just as they’re about to give up and catch their train, which only has a half-hour delay due to the superhero battle, by far the most unbelievable concept to ever appear in an X-book. Storm arrives back at Grand Central Station, the site of the first battle, just in time to meet up and receive some sweet fan-mail from Rosie. If the Marvel Universe is anything like real life, Storm, as a powerful woman of color, likely receives mostly threats and harassment in her regular correspondence, so this must be a welcome change of pace. 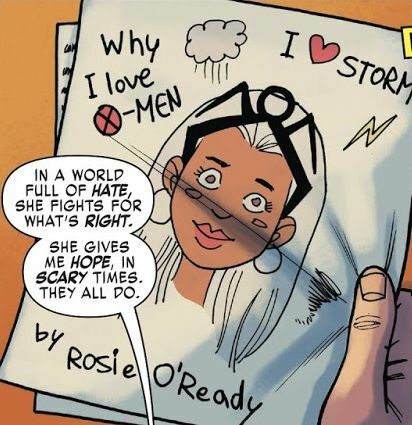 Along the way, Rosie’s aunt, a casual racist who initially thought the X-men were “yucky,” has changed her opinion and now gets why they’re so great because they overcome persecution. Once again, everyone lives happily ever after. 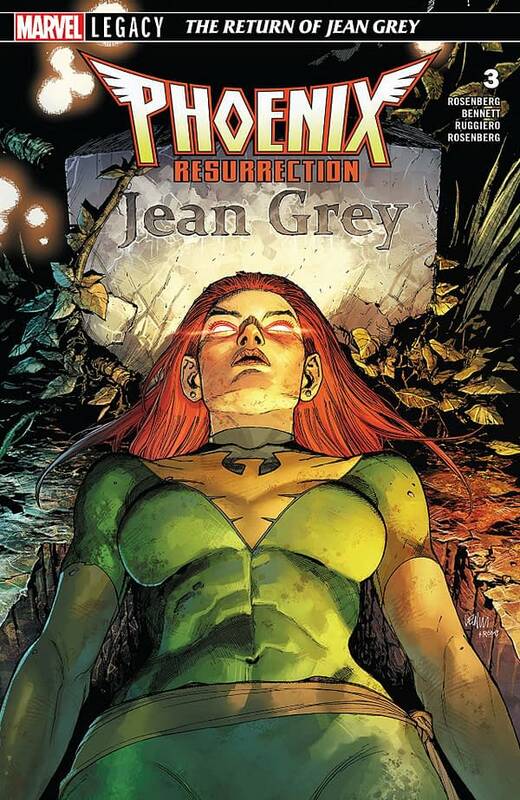 This comic walks a fine line between filler — it’s unlikely its events will have much of an effect on the ongoing X-books — and mindblowing importance — it nonchalantly undoes one of the defining acts of the Dark Phoenix Saga. Is it worth five bucks? Well, that’s all relative. No single issue comic is actually “worth” five bucks, but when you consider that you can pick this up and read not one but two complete stories, it’s hard to not see this as a relatively good deal. Check back later for the final thrilling installment of… X-Men: Bland Design!